Have you met someone recently that couldn’t read or write? I suppose if you hang out with small children, they get a pass, but I’m asking this question in relation to adults. When was the last time you met someone who was illiterate? It’s probably fairly uncommon for us Americans to run across anyone that has difficulties like that unless we work in education. 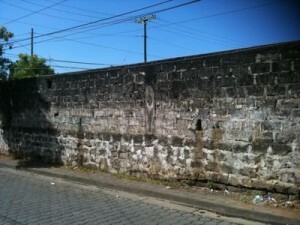 Working out of Managua, Nicaragua I have visited many communities where I meet adults that still cannot read and write. It’s quite common in the rural areas actually. 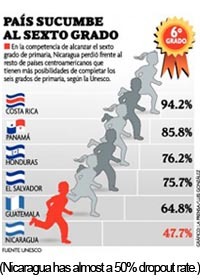 In fact, the Nicaraguan government has a campaign called, “The Battle for Sixth Grade” which helps rural schools to keep children in education until at least the sixth grade and hopefully into high school. Apparently, in many rural communities, the dropout rate from first to sixth grade approaches 50%. How can a nation develop if its citizens lack even the most rudimentary skills? I repla y that question over and over in my mind when I visit yet another private school and the teachers tell me that when students come from public schools and enter seventh and eighth grade and still don’t know how to read or write. It would be understandable if the children were in primary school, but to pass through seven or eight grades without learning, that’s alarming. 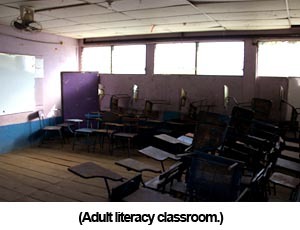 In fact, much of the developing world, an estimated 793 million illiterate adults struggle with illiteracy. Further still, as I have been visiting schools, I have met adults that lack those skills, but what’s amazing to me is that they show a sincere desire to break the cycle of illiteracy when they enroll their own children into a school. But the question remains, how did these adults miss out on education? What happened in their past? “I couldn’t read or write until I was 16. I just didn’t have the opportunity. 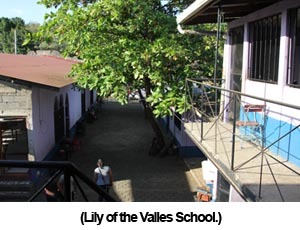 No one invested in me.” – Francisco, Director of “Lily of the Valleys Christian School” in Leon, Managua. Francisco’s school, which was started almost 18 years ago, now serves 450 local children. His school is located in a poorer area of Leon, and meets the needs of many underserved children and families in the local area. Whenever I use the word, “poorer,” keep in mind that Nicaragua is the 2nd poorest country in the Western Hemisphere, so while the “regular” areas are economically harsh, the “poorer” areas are a bit shocking. 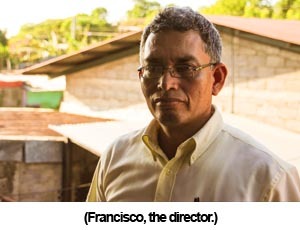 Francisco’s passion for education came from his inability to receive even basic education as a youth. When he sees a young child enter his school without basic math or language skills, he seems himself as a young man with desires to learn and grow, just waiting to be invested into. I saw Francisco’s passion permeate the school, just look at this to the right, their focus on character formation. They know that if they aren’t the ones who take a stand in the development of a child, no one else will. After explaining to me how they are able to provide education to over 450 students with only 10 classrooms in three daily sessions, he shares with me something he’s really excited about: free literacy classes on Saturdays for adults. 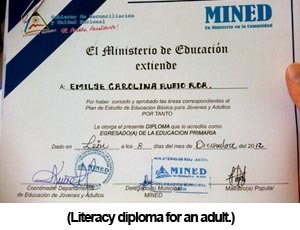 Francisco comes back with a stack of certificates, newly stamped with the seal of approval from the Ministry of Education. His private Christian school is now recognized by the Nicaraguan government as meeting their national standards of literacy training. I’m flipping through the names on these awards and realizing that with each new name I see, this represents a new life for the individual. For a mom or a dad, they now have the ability to help their kids with their homework, find a better job, and read aloud to their kids at night furthering the beautiful bloom of knowledge in their household. I look up and he is quiet; he’s humbled by all the names and certificates in the folder. He has helped make a way for twenty four adults to become true citizens of their country. I nod in appreciation, he smiles. We both seem to silently agree on the gravity of this achievement. I think it’s because we both realize a simple yet incredibly profound thing has transpired. Even though nobody was there when he was a child, he is present now for the children. Even though no one had the money for him to go to school, he has found a way to provide for others. Even though he and his family lived many kilometers away, they found a house closer to the school to provide weekend classes. Even though he never had, he made a commitment to give what he never received. It hits me hard to think about how many times I think about my first response to a challenge or an obstacle is to give up, simply because something stood in my way, or the gap was too far to cross. I’m so inspired by the people I’ve met who have overcome tremendous setbacks and have responded not with excuses, bitterness or weakness, but instead a positive, affirming, and courageous attitude. I think about the magnitude of such an obstacle – illiteracy – and what it would take to go from learning to read and write at age 16 and then go to school, university, and on to become a director of a school. This entry was posted in Monthly Newsletter, Nicaragua on February 28, 2013 by Aaron. My dad has a good internal compass. I remember as a child he always wanted to know the cardinal directions because somehow knowing that the river was north from where we were staying would help us navigate our family of 5 around in our blue Chrysler minivan. At 10 years old, I thought he was nuts. Now I realize, he wasn’t, and he’d do well driving in modern day Nicaragua. This is an acceptable form of giving directions to taxi drivers in Managua. No street signs, no house numbers, no other clear landmarks. Just some strange quasi-cardinal or relational points of reference that will guarantee you will arrive. Seriously. It works every time! In fact, it became quite clear to me after a while that “magnetic north” here is Lake Nicaragua and not Hudson Bay. Somehow, each person carries with them an internal compass that lets them know which direction the lake is. Consequently, many directions in the capital take the form of using “North” as the Lake whether or not the Lake is North, East, West or even South. People will understand you if you are using the lake as your point of reference. Roll with it, use it. It doesn’t matter if you agree with it or not. If you want to get anywhere in Managua, stick to the custom. The lake is always North. Doesn't look like tennis courts does it? Well, this is where they used to be. Off we went, and sure enough 7 minutes later he dropped me off where I needed to be and I reconnected with my colleagues. Yet another point of reference in the lesson of cultural assimilation. This entry was posted in Nicaragua on February 5, 2013 by Aaron.